HomeDoes the recent SCOTUS decision about overtime affect you? Does the recent SCOTUS decision about overtime affect you? On March 9, 2015 the Supreme Court reversed a ruling of the U.S. Court of Appeals for the D.C. 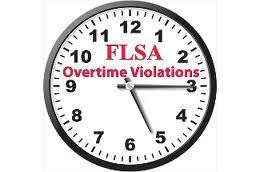 Circuit that struck down a DOL administrative ruling regarding MLO overtime. The Court in a 9-0 decision ruled that because the 2006 DOL Opinion Letter was itself merely an interpretation of an existing rule and not a new rule with the force and effect of law DOL could reverse its prior position and issue a new interpretation without prior notice and the requirement of industry comments. History – under the administrative exemption of the FLSA employees who are paid on a salary basis of at least $455 per week may be exempt from overtime compensation if the employee’s primary duty is the performance of office or non-manual work directly related to the management or general business operations of the employer or the employer’s customers, and their primary duty includes the exercise of discretion and independent judgment with respect to matters of significance. Employees in the financial services industry generally meet the duties requirements for this exemption if their duties include work such as collecting and analyzing information regarding the customer’s income, assets, investments, or debts; determining which financial products best meet the customer’s needs and financial circumstances; advising the customer regarding the advantages and disadvantages of different financial products; and marketing, servicing, or promoting the employer’s financial products; provided, however, that their primary duty is not selling financial products. There’s the rub: provided their primary duty is NOT selling financial products. So, pretty much, any MLO who is originating should not be considered exempt any longer. What can you do to protect yourself from being sued for overtime by a disgruntled or opportunistic former MLO? Back in 2002 this happened to me, so I can speak from some experience here. First – don’t fight the rule but rather have a policy in writing that prohibits any work beyond 35 hours a week unless approved in writing. As long as you would enforce this strongly, I think this creates a rebuttable presumption for the DOL that you may have had an MLO who stepped outside his job description if he worked more hours than 35 hours a week. “Ultra vires” or “frolic and detour” argument. The key to this is to enforce your policy. You would need a procedure in place that monitors MLO time sheets and has your MLO sign a certification about hours worked under penalty of perjury each and every pay period, whether they have commission due or not. And you would need to demonstrate you sent people home when appropriate. Next – your policy about overtime. Don’t prohibit overtime; just require a pre-approval in writing. Next, monitoring each and every pay period with MLO certification regarding hours reported. Be able to show you enforce your own rules. OK, confused? I do this. Need help? Just give me a call at (800) 656-4584 and let me be your compliance guy. I am a plain talking attorney who is also an active MLO. That means I know how your world really works. My work always reflects logical application of regulations to the real world. As best as can be done. Your comments are welcome. Let’s stay out of trouble; it’s dangerous out there. ← More Changes for Brokers and Lenders – no longer exempt?